Gardening in the Midlands can be a challenge at times. We deal with scorching heat, sandy soil, drought-like conditions and do we need to say more about the no-see-ums? However, we have one of the longest growing seasons in the country and have an array of beautiful native plants that flourish in our southern conditions. If you struggle with finding plants that thrive in your garden we encourage you to bring the beauty of native plants to your backyard. Not only will you be adding season-long color, but you’ll be adding wildlife-friendly plants that are perfect for our soil and climate. Simply stated native plants are those that grew here when Columbus discovered America. They are plants that evolved over time and tend to be hardy and well-adapted to the environment in which they thrive. Plants that grow naturally will require less water and fertilizer than non-native plants. They are more resistant to insects and disease and are less likely to need pesticides. This is particularly useful for new gardeners since they often require little attention. As our woodlands and wildlife areas are being converted to commercial and residential growth, we’re losing our native plants. As backyard gardeners, it is our responsibility to preserve our natural plants for future generations. You can help to restore the availability of native plants by adding a few to your landscape. In this way, we can all make a difference and help save endangered species one yard at a time. They couldn’t be easier – Native plants require little attention if planted in an area that best matches their natural habitat. They’re hardy and will adapt well to normal weather extremes. They need less water, little fertilizer, no pesticides and less time to maintain than regular garden plants. They’ll invite wildlife to your backyard – Research shows that wildlife common to your area will prefer native plants over non-native varieties. They provide food and shelter for birds, bees, butterflies, hummingbirds and other beneficial insects. These native insects and birds will also help keep your yard free of mosquitoes, and other plant-eating bugs. They add a natural beauty to your landscape – While adding native plants to your landscape may never replace the beauty of plants growing in the wild, they can help us blend surrounding development into a more natural setting. When shopping for native plants, please be aware that most big box stores will not carry plants that are native to the local area. Generally, local nurseries and garden centers (like ours) will stock plants that thrive in their climate. Where will you be planting, in the sun or shade? Is the area wet or dry? What type of soil does your landscape have? Clay or sand? Where in your garden will you be placing them to determine the correct height? Once you know the answer to these questions, you’re ready to think about specific plants. Plan to plant a variety of trees, shrubs, perennials, and vines to give wildlife an array of food and shelter choices. Choose plants that you can group together to attract nectar-loving birds and insects, as well as host plants for butterfly larvae. 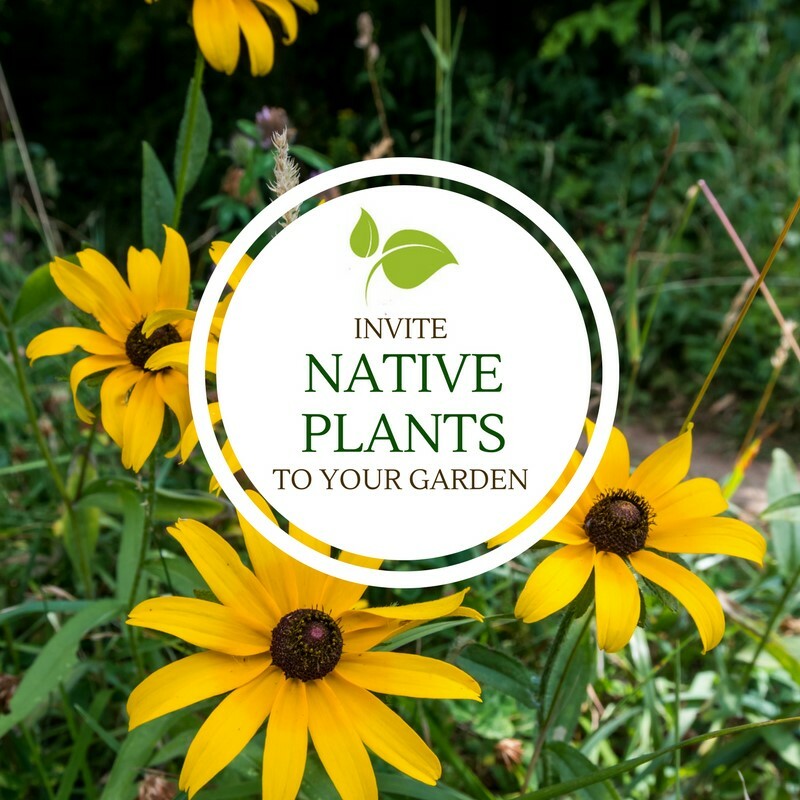 Creating a native plant garden in your backyard will add natural color and beauty, as well as provide an inviting habitat for native wildlife. You will find you enjoy your yard so much more when you can watch colorful butterflies flit from plant to plant, listen to birds chirping away in the trees, and appreciate the work of bees as they cross pollinate flowers and vegetables. Establishing native plants in your landscape is a way to preserve these experiences for future generations, one yard at a time. For a complete list of the native plants, that an be found at Wingard’s Market, please visit Native Plants to South Carolina.